Hi there, my name is Henry, and my hamradio callsign is IZ5CML, I’m living in a small town near Florence. 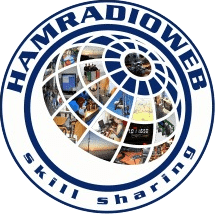 I’m licensed since ’98 but the passion for the radio was started some years before, when on 1991 my parents have bought my first ham equipment, an old Kenwood R-1000 receiver.. Then I’ve made 6 long years of SWL. Now I like DX on every forms, I’m very active on HF, 6 to 160 meter, chasing Dxcc (All Dxcc countries are worked), IOTA(990 ref. )and Antartic territories, making contest alone and with friends @ IO5O. Here you will found info about me, dxing, propagation and some little tecnical advice.